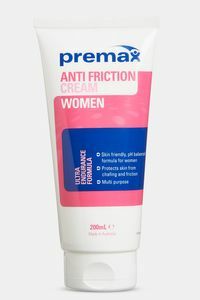 This offer applys to all Premax products so shop around! Don't miss out, as this offer only applies when you start shopping from this page! 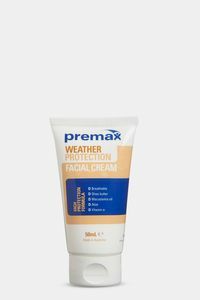 A dry, non-greasy, broad spectrum sunscreen formulated just for sports and exercise. 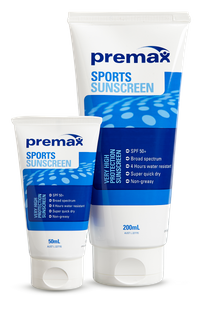 Premax Sports Sunscreen also contains Aloe Vera and Vitamin E helping the skin maintain its condition. A long lasting, multi-purpose, and high-performance formula used by the world’s best athletes. 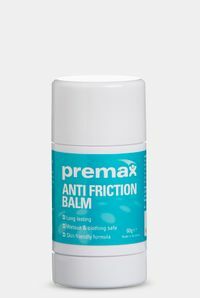 It reduces the friction and subsequent abrasion of skin to skin or fabric to skin contact. Premax Anti Friction Cream also contains Tea Tree Oil to help protect the skin from harmful bacteria. A premium quality massage cream suited for massage of sensitive areas and for sports recovery. It has a medium resistance, is long lasting, wipes off easily, and leaves the skin feeling clean, smooth, hydrated and soft. A global network of endurance athletes making the world a smaller place.